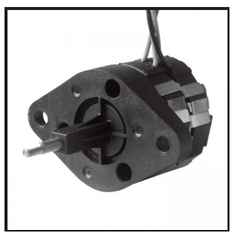 Mechtex established in 1967 offers Stepper motors with Stepper linear actuators. These stepper linear actuators are used in variety of applications such as Medical equipments, Damper movements , Factory automation , Instrumentation & so on. These stepper linear actuators will have variants such as supply voltage, linear travel & duty cycle. Stepper Linear Actuators offered comes with Actuator support of 0.033/0.0417/step and delivers 24 steps per revolution. Also featuring bipolar and unipolar winding provision, it can be made available in rated voltage of 3, 6, 12, 24 with resistance per winding of 11.5, 18.5, 100, 460, 12, 28.5, 120, 500. Further, the provided axial force of 1.0kg can also be enhanced for meeting demands of special winding support. Looking for Stepper Linear Actuators or DC Linear Actuators ?